I have known about the benefits of Traditional Chinese Medicine (TCM) for decades. Acupuncture and TCM have, in fact, been my primary care. 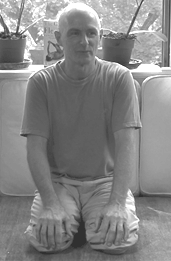 What a revelation it was to discover that the 16 types of stretches that Bob had created stretched the exact muscles that the meridians traverse as presented in TCM. What that means is that by knowing which meridian you are stretching, you are also enhancing the function of the concomitant organ! As a result, I experienced the predictable organ/tissue concomitance for each type of stretch. For example, the muscles on the back of the shoulder blade are associated with the small intestine (SI) meridian in TCM. When these muscles were resistance flexibility trained, I personally experienced that my digestion of proteins improved. I also experienced other organ and tissue parallels with specific muscles and RF exercises that were also consistent with TCM theory. But the most remarkable benefit from RF came as a surprise to me. Bob identified a group of muscles that were the most inflexible in me compared to others — the muscles associated with my heart. When Bob identified and stretched these over a series of sessions, I found myself releasing profound childhood grief about my mother that had been “stuck” in my fascia for decades, creating an unconscious sense of being unlovable. But when those muscles were stretched, I was able to release decades of grief. And as a result, I have developed a profound new understanding about my relationship with my mother, why I went into ob/gyn, and also how my past set the stage for my intimate relationships. I am also absolutely certain that this work prevented an inevitable heart attack down the road (heart disease “runs” in my family and, quite frankly, so do the psychological patterns that favor it). This psychological type of development is the hallmark of Bob’s work on psychology and is presented in his upcoming book The 16 Geniuses — Sixteen Genetic Personality Types. As I continued to rehabilitate myself from the pedestrian automobile accident, I began to notice that resistance flexibility training specific muscle groups produced unmistakable improvements in my physiological and psychological wellness. Other people doing the same types of stretches also reported identical improvements. I presented my findings at the Pacific College of Oriental Medicine Symposium in 2009. After the last three decades of self RF and after assisting thousands of people, a theory of genetic personality formed. In our new totally green center in Santa Barbara, CA, I give weekly lectures from excerpts from my second book The 16 Geniuses — Sixteen Genetic Personality Types. “I am continually moved by the truly communal nature of this work. Nothing I have experienced before actually has community literally woven into the ‘fabric’ of the practice.” – Roger B. This is a multi-part post about Dr. Northrup’s experience with Resistance Flexibility. And be sure to check out Dr. Northrup’s latest book Goddesses Never Age! This entry was posted in Resistance Stretching.